Posted January 31st, 2010 by Marcia & filed under Uncategorized. Personality assessments or behavioral assessments are the starting point to defining an individual’s personal traits and behaviors. Knowing why we demonstrate certain behaviors is like ‘reading a mind.’ If I know my preferred behavioral style and that of another person, I can adapt my style to be compatible and achieve the desired outcome. Today’s knowledge culture has more than 20 different models of behavioral assessments. However, the common thread is they group behavior into four categories. The D I S C is one of the more widely used models and stands for Dominanance, Influence, Steadiness, and Conscientiouness. 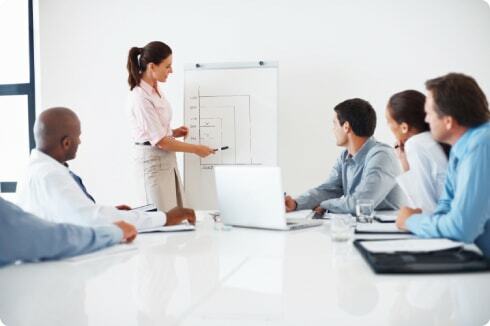 Nearly all management training courses and leadership training rely upon a behavioral assessment to determine the primary characterstics of the leader and how they react to situations and other styles. The online personality test is the first http://www.cialis5mgbestprice.com/ step to gaining that valuable understanding of your predominant style. If the disc personality test online reveals that D is the predominant style, you may recognize some behaviors like take charge of people and situations to achieve goals. They want to win and generally think that ” lead, follow, or get out of the way” is their guiding principle. They want to win and may challenge people and rules. They also accept challenges, take authority, and are great problem solvers. Characteristics to identify D‘s are decisive, assertive, direct, fast-paced, impatient, self-starter, and competitive. Posted January 18th, 2010 by Marcia & filed under Uncategorized. Do you know who you are? Have you taken behavioral assessments that have not given you a roadmap? Our online personality test will not only allow you to define your own primary and secondary styles, but also define that of others in both a personal and professional setting. This online disc personality assessment will likely change your relationships forever. You will see others differently, understand them better, and be able to deal with them in a way that can turn every situation into a win-win. Would you like to understand yourself and your behaviors better and hone your skills and strengths? This disc online assessment can help you achieve this and much more. Personal accountability is a trait that those in our personal and professional lives value and it starts with you and a mantra of slf-improvement. This tool will allow you to listen differently and understand the behavioral styles of those around you, speak ‘their’ language to meet their needs and develop stronger relationships as a result of this understanding. With knowledge of the how and why of your reactions, and how to work with others’ styles you can reduce conflict, be more productive, and build longlasting and more meaningful relationships. Take the online personality test today and cialis5mgbestprice visit web change your life forever. Posted January 13th, 2010 by Marcia & filed under Uncategorized. The headlines speak daily about layoffs. Job security is a thing of the past. Career advancement becomes even harder because everyone is doing more with less. The days of frequent promotions are a thing of the past. What can you do to survive and perhaps even thrive. 1. Don’t hide behind your computer. Speak up in meetings, take the initiative to volunteer for difficult projects that co-workers avoid. Personal accountability means stepping up your visibility and taking advantage of any employee development opportunities that your organization offers. Come in early and stay late. Be proactive, not reactive. 2. Become needed. You should be the go-to-guy or gal that everyone can rely upon to do a job task efficiently and correctly. Do you add value to the equation? Results speak louder than words. If you can think of a better way to do something, take the initiative and do it to demonstrate your value. 3. Be a team player. Build upon existing relationships and build new ones. Show that you can collaborate and play in the sandbox nicely and productively. It nevers hurts to have allies in tough economic times. 4. Work on you. Take management training courses and behavioral assessments to improve and enhance your skill sets. If you always appear to be learning new things and are engaged, it will only cialis5mgbestprice enhance your professional presence. 5, Know, understand and use social media networking to your professional advantage. Post only meaningful and useful information. Avoiding trivial and drivel will show your mastery of these tools. Take the initiative and download our catalog on the EDSI homepage. Posted January 3rd, 2010 by Marcia & filed under Uncategorized. During a recession, organizations tend to be less concerned about employee turnover than in a healthy economy. Employees have fewer options in a rigid job market, and many are not eager to risk leaving their current positions. However, in this climate of layoffs and cutbacks and instability, doesn’t engagement suffer? A recent Center for Creative Leadership study discovered a surprising conclusion: as layoffs increased, employee engagement actually improved. In fact, American workers are more engaged in their work now than they were at the beginning of 2008. This may seem like a paradox, but as job options narrowed during the recession, many employees focused more on what their current jobs offered and worked hard to keep those positions. As the country slowly moves toward economic recovery, leaders in organizations must now work to keep employees engaged. In the CLC study, 15 percent of respondents said they would be looking for a new job in the near future and another 26 percent were neutral. A strong positive relationship with a direct manager, however, has a significant impact on whether an employee chooses to leave or stay with an organization. Out of the employees who strongly agreed with the statement, “My manager really cares about my well-being,” 94 percent responded that they intend to stay with the organization. By contrast, 43 percent of employees who strongly disagreed with the statement said they intend to stay. It is the ideal time to strengthen the relationships you have with your employees, both for the success of your organization and their continued happiness and productivity. Take a look at some of our other blog posts and resources to find new ideas to boost employee engagement and retention. Are you concerned about retention as the economy improves? What are strategies you use to improve employee engagement?